Rohit Shetty’s recently released Simmba, starring Ranveer Singh and Sara Ali Khan, smashed all records at the box office and made incredible business by crossing the 100 crore-mark. 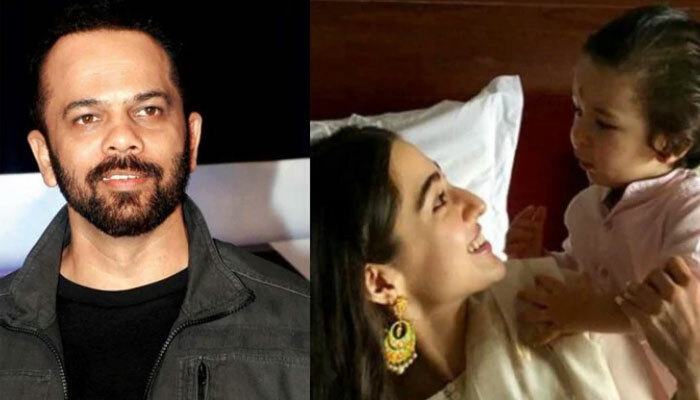 In a revelation made recently it was unveiled that that the director of the film Rohit Shetty wanted Sara Ali Khan’s half brother Taimur, Saif Ali Khan and Kareena’s son, to promote his film. It is no secret that Taimur has a massive following and is one of the most famous Khans in the industry. Owing to this, Rohit Shetty kept requesting Sara to let Taimur wear Simmba T-shirt for just one day. Kareena and Saif’s son Taimur is a total social media sweetheart. Every picture of his goes viral within seconds. Currently, the two-year-old is vacationing with mom and dad in Paris.